It has been long overdue for this to happen! We have finally got new display fish tanks in store to purchase fish from. 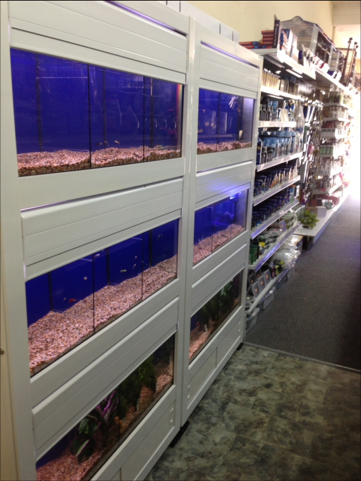 We now have more tanks which means a better selection of fish for our customers in Sandgate. We will be stocking all the favourite fish including; Goldfish, Tetras, Algae Eaters, Mollies, Guppies, Silver Sharks, Rainbow Sharks, White Clouds, Siamese Fighting Fish and many more. We also have a selection of live aquarium plants. Feel free to come down for free advice on caring for your fish.